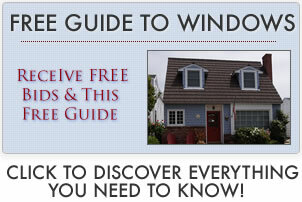 Chord windows are one of many specialty windows that are technically no different from half circle windows. Usually though they are not as tall and can either have a single pane or can be divided by mullions for design affect. Chord windows are technically no different from half circle windows. We say technically because the word is a geometric term where a line dissects a circle at any two points. If it dissected the circle at the diameter, you would have a half circle. If it dissected the circle anywhere else you would get a shorter section called a chord. They look great above window frames or doors as an accent piece or can be stand alone as a design element of a home. The are produced in composite, wood or vinyl, which costs less and is usually stronger and requires less maintenance. These will be stock or custom size where the custom sizes will be more expensive than stock windows which for small sizes could be as little as $125. Where homeowners will end up paying is for the installation pricing. All custom installation that requires either increasing or decreasing the window opening to fit chord windows will be expensive. These can look great placed above doors or as stand alone design elements. In the latter case, the window will usually be larger to bring attention to itself and to bring in more light into a room. If they are placed above a door, they will be the same width as the door frame. The installation can be costly for custom jobs. 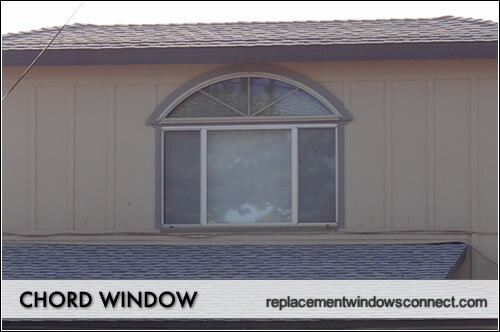 The cheapest option if replacement inserts that can be swapped in to replacement a similarly sized window. If replacement window contractors need to extend, enlarge or decrease an opening then you get into carpentry and framing issues that can add up quickly.